Given that this is the significant Go-Ahead operation, and quite near London too, I thought I'd start a thread on it. When I had a short break in Oxford just before Christmas last year, I was pleased that they had City tickets that were valid also on Stagecoach, and for 24 hours not just the date in question. I therefore timed my first bus ride to be late enough for me to use it first thing back to Oxford the following morning! Some of their vehicles include Scania-E400, Volvo B5LH-Gemini, StreetDecks and Citaros. I am currently planning a trip to High Wycombe this Christmas to ride Carousel buses for the first time. When GA purchased Carousel it kinds compensated for when they sold Wycombe Bus to Arriva. I think they were finding maintenance on the depot expensive and replacement premises hard to come by. I was planning to do a trip until I saw that Carousel & Oxford Bus/Thames Travel don't seem to have a joint ticket as I'd of started a journey from Uxbridge to Oxford by bus otherwise. There was a joined ticket called Go Anywhere, but since Carousel withdrew their X80 service the two networks are separate meaning there is no point of having a joint ticket. Arriva of course are not up to developing anything multi operator in that region. Thames Travel revised the 143 (Reading-Upper Basildon) timetable on Saturdays from 15th December. The 08.50 Wallingford-Reading and 16.30 Reading-Wallingford are curtailed to operate between Upper Basildon and Reading only; and there are new journeys at 09.00 Reading-Upper Basildon and 17.06 Upper Basildon-Reading. The new Saturday timetable will also operate on Monday 24th, Thursday 27th, Friday 28th and Monday 31st December. There is no 143 service on Sundays and public holidays. There are a number of Thames Travel timetable changes from Wednesday 2nd January, involving routes X2 (Oxford-Abingdon-Didcot-Wallingford), X32/X33/33 (Oxford/Abingdon-Didcot-Wantage), X38/X39/X40 (Oxford-Wallingford-Reading), T1 (Oxford-Watlington), 98 (Didcot local service) and BB1 (Didcot schools services). Carousel Buses also has timetable changes (mostly minor) from Wednesday 2nd January affecting routes 35/36 (High Wycombe-Flackwell Heath/Bourne End), 39/39A (High Wycombe-Totteridge), 101/102 (High Wycombe-Beaconsfield-Uxbridge), 105 (Hemel Hempstead-Chesham-Uxbridge) and some school routes. 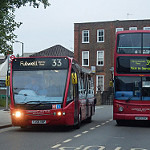 Thames Travel's timetable changes duly took effect from 2nd January. 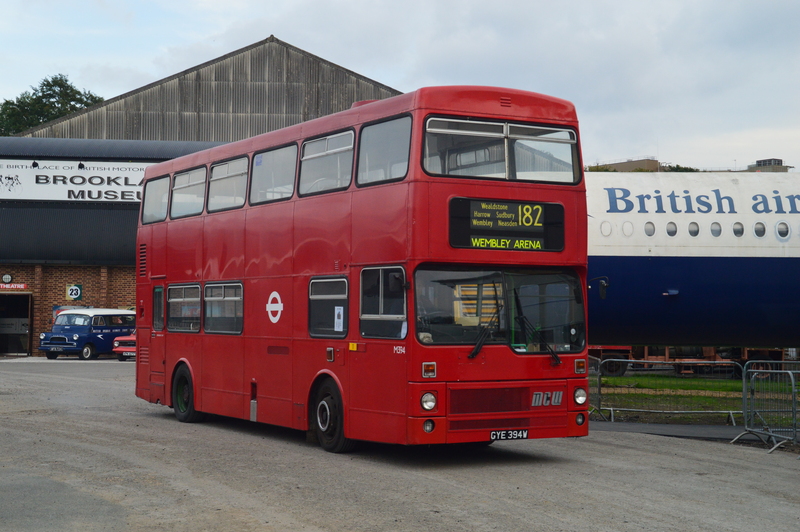 Of interest is that three vehicles are now outstationed every night at Reading Buses' Great Knollys Street Depot (2 for the X38/X39/X40 and 1 for the 143) although the drivers still come down from Wallingford. As much as I despise them in general, Carousel's Solo's are pretty nippy little beasts! I has 711 (MX08 AAF) on the 103 between High Wycombe & Amersham yesterday and we were going up hills hitting 53mph with the engine still pulling! £9.00 for an all zones day pass is pretty good value for money if you ask me, seeing as you can get from Uxbridge to Hemel Hempsted, Watford to High Wycombe, High Wycombe to Chesham as well as local Wycombe services. The only downside is that their 101/102/105 (A30/A40/740 in old money) routes seem to suffer reliability issues on a regular basis, my 105 was 20min late leaving Uxbridge (where TfL still haven't replaced the old A40/740 & A30 timetables, much to the drivers annoyance!) and the 102 I was on was 30 late arriving back into Uxbridge! Although, it did lead to some rather lively running! 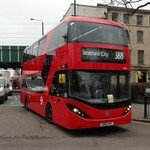 When I was in High Wycombe 4 weeks ago I was waiting to ride a Scania on route 39 at the start of the day. Then a Scania came on route 1 before route 39 set off, and I felt the novelty of riding a double-deck on route 1 to be too good to miss! I found my Solo reasonably comfortable too. - Oxford City will operate a SATURDAY service on all routes including Airline and X90 - except Brookesbus will operate a Vacation Sunday service. - Thames Travel will operate a SATURDAY service on X2, X32, X38/X39/X40 and a Sunday service on all other routes. - Carousel Buses will operate a Sunday service on all routes. - Sunday service on all routes (Vacation Sunday service on Brookesbus). All routes will also operate a Sunday service on public holiday Mondays 6th and 27th May - Brookesbus will operate a Semester Sunday service on Monday 6th and a Vacation Sunday service on Monday 27th.